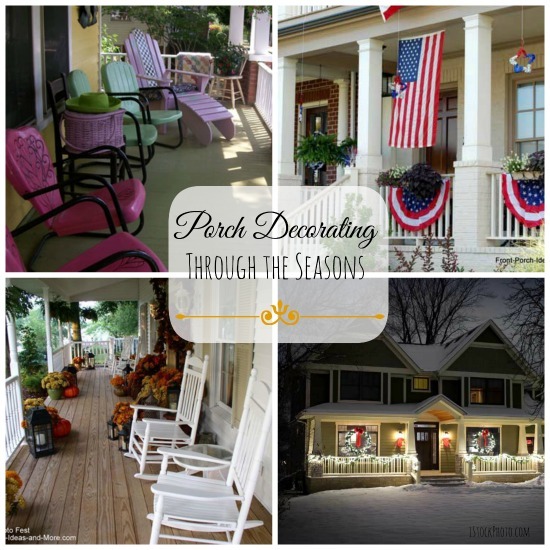 We have creative porch decorating ideas for every season and many different holidays, along with tips for creating a most curb appealing porch. 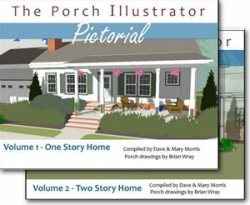 Whether looking for economical ideas to jazz your porch or wishing to create a sophisticated entryway, Mary and I have decorating inspiration for you. 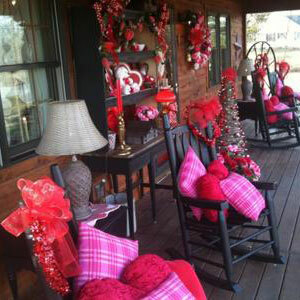 We also take you up close with readers who share their decorated porches. 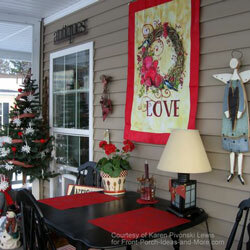 Decorating for the holidays has never been easier and it can be so much fun for the entire family - we show you how! 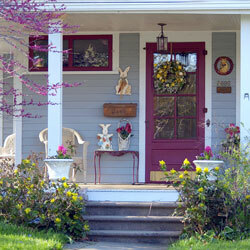 Use Our Directory of Porch Curb Appeal Ideas! 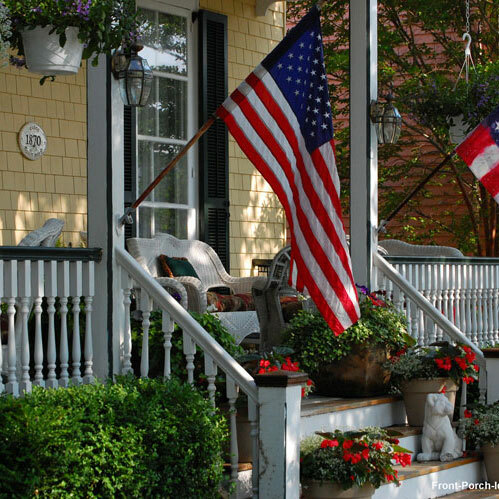 We share oodles of porch decorating ideas from across the country. 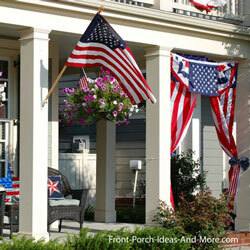 Amazing porches with lots of decorating ideas. 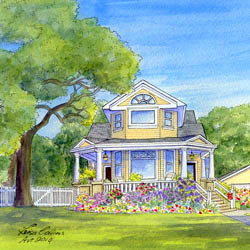 A Watercolor Portrait of Your Home. See how this makes a fantastic gift idea for someone special. 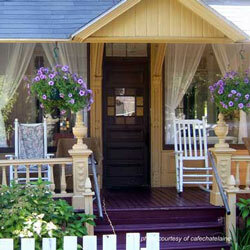 No matter the size of your porch, you can make it pleasant and welcoming! 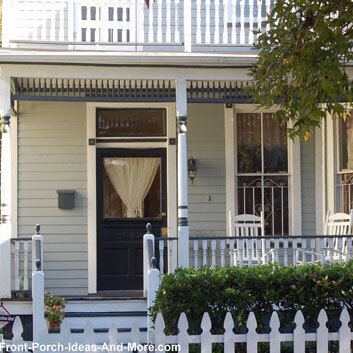 Whether you have multiple porches or a small portico, creating a curb appealing and relaxing front porch evolves around three basic decorating concepts - which anyone can do! 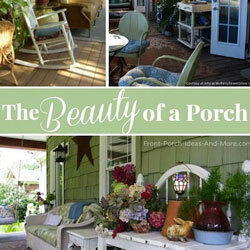 Think of your porch as a room in your home. 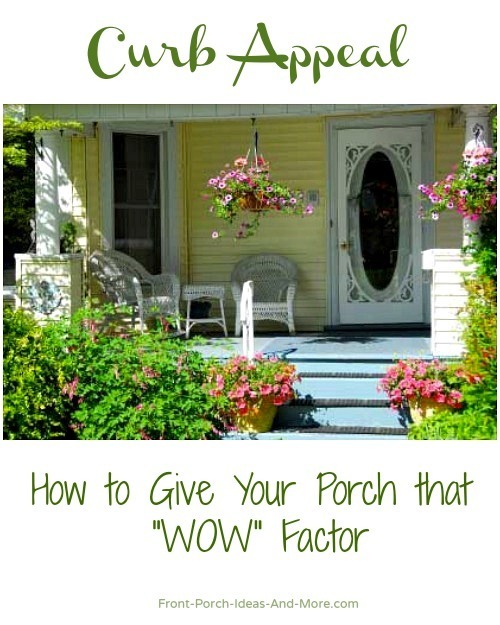 You can use your porch as an indicator of what's inside. You can reflect your personality, display your interests, etc. 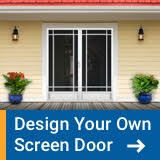 This could be as simple as defining it only as an entrance to your home. 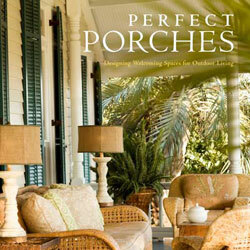 Very small porches and porticos probably fall into this category. 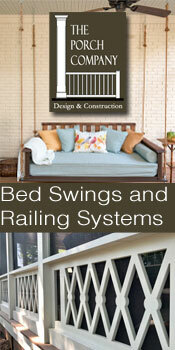 Many times, size is a limiting a factor regarding how you can actually use the space. 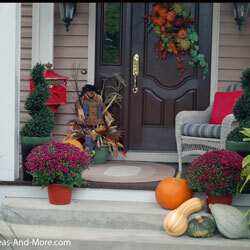 Often times; however, it is a perfect space to create lots of curb appeal. 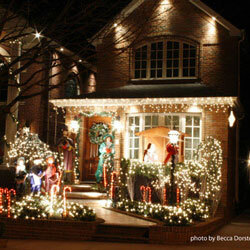 We have lots of ideas you can use to do just that! 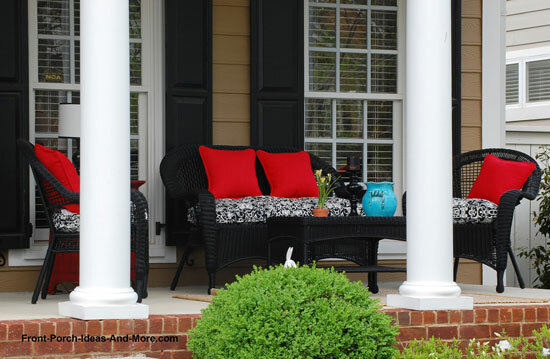 If you have a large porch sufficient on which to relax, play games, or just entertain friends, you have a space to not only decorate for curb appeal but also furnish as well. 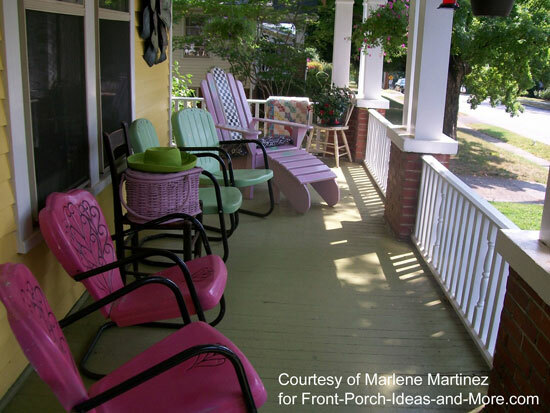 Large porches can be divided into separate areas for dining, enjoying a glass of wine, entertaining, and even privacy for relaxing with a good book (or iPad). 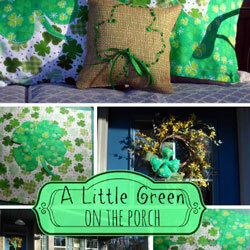 This can be done easily with objects (vintage items as an example) or color in cushions, accessories, trim work and the like. 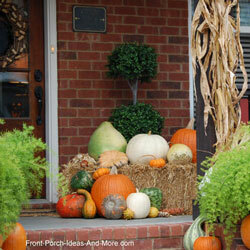 You probably have items around your home you could use to decorate, or use to begin a theme, on your porch. 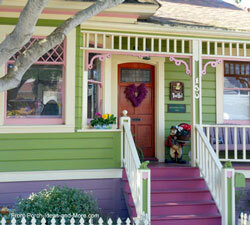 Perhaps you have some beautiful or colorful vases, planters, etc., that could become a focal point. As an example, you could fill them with items other than plants if you so desire. And remember the rule, that sometimes less is more. 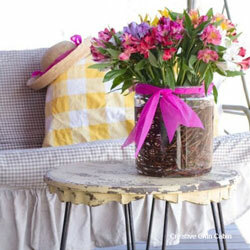 Like in a room in your home, a few really decorative items can make a room pop. Then again, you could go eclectic and cover all the bases! 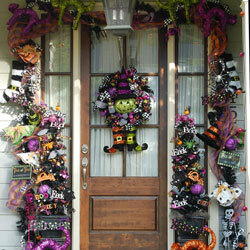 Here's the really fun part - you can easily change it to match the seasons or celebrate the holidays. 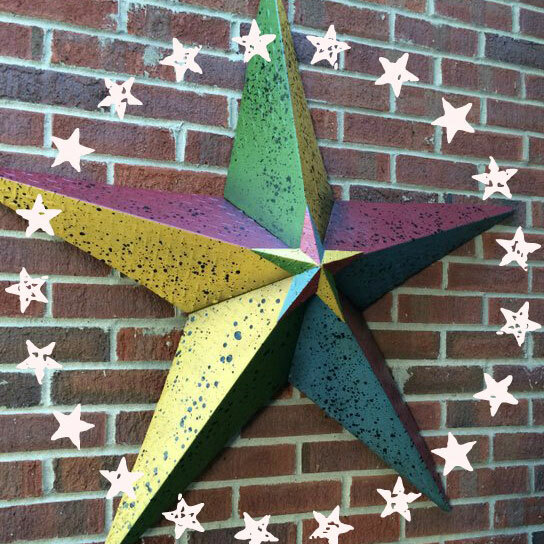 No matter, you'll find a myriad of ideas for creating a focal point throughout our decorating sections. 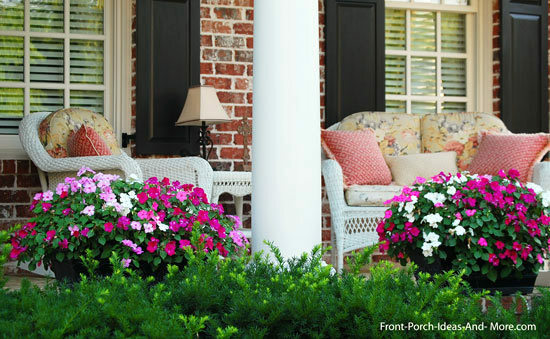 Because your porch is a transition from the outside to the inside, consider adding some natural elements within your decorating scheme. 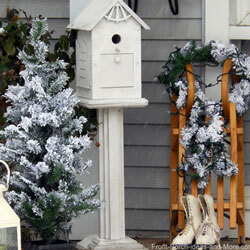 This can be as simple as placing tree branches in container next to the front door to arranging beautiful floral displays on steps or tables. I made small boxes from old barn wood to place on tables. Mary filled them with hickory nuts from our yard. Another way to add texture is through pillows or cushions. Use them as part of your theme - double duty. 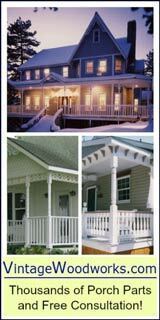 You'll find a plethora of ideas for adding all types of texture to your porch throughout our decorating section. 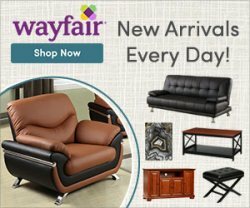 We've tried to make your decorating experience as fun and as easy as possible. 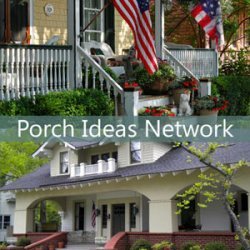 We've collected ideas from across the U.S. (and elsewhere) to give you ideas you can replicate or modify to fit your needs. 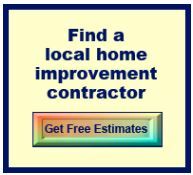 Mary and I have found you don't have to spend a lot of money. 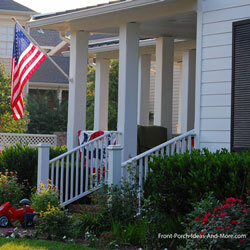 We recommend you "shop your house" for decorative items you can use on your porch. Thrift stores also are good sources of unique items. 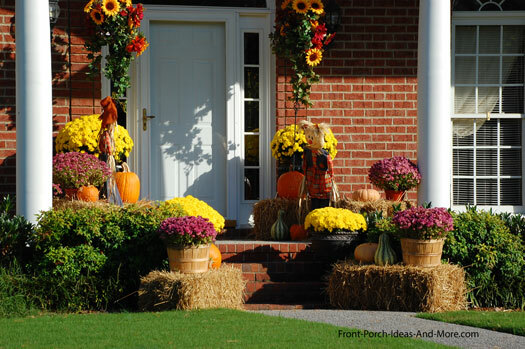 Purchasing decorations for your porch after the season or holiday to take advantage of sales is another way to extend your hard earned dollars. 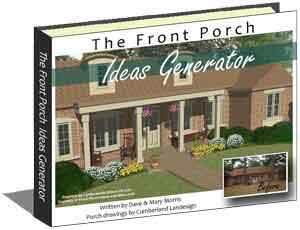 We like to make items (we share them with you) for our porch that is not only fun for us, but also saves us money.